If It Says “Guaranteed Payday Loan No Third Party” Run Away! If you’ve been struggling with debt, your credit has likely taken a hit as well. For me, having a low credit score and a high level of debt caused me to panic. How was I going to survive? The scary thing is – predatory lenders know when you’re feeling overwhelmed. That’s when the “Guaranteed Payday Loan No Third Party” envelopes begin coming in the mail. Predatory lenders are everywhere. These lenders are referred to as being predatory because they tend to target people with bad credit, a lot of debt, and low incomes. Most of the time, they don’t truly care whether you can pay the loan or credit card off. Not to mention, most types of predatory lending also comes with a high-interest rate. They simply continue the cycle of debt and feed into it. Payday loans, guaranteed approval loans, and most bad credit loans are feeding into the cycle of debt. Generally, the interest is so high on these loans they are practically impossible to pay off. No loans are guaranteed. If anyone guarantees you approval for anything, especially if your credit is bad, it should be a huge red flag. You’ll likely end up paying three times the amount of the loan. Almost all of the “guaranteed” loans come with a high-interest rate. We are talking 22% interest and higher. If you’re already struggling, this will be nearly impossible to keep up with. 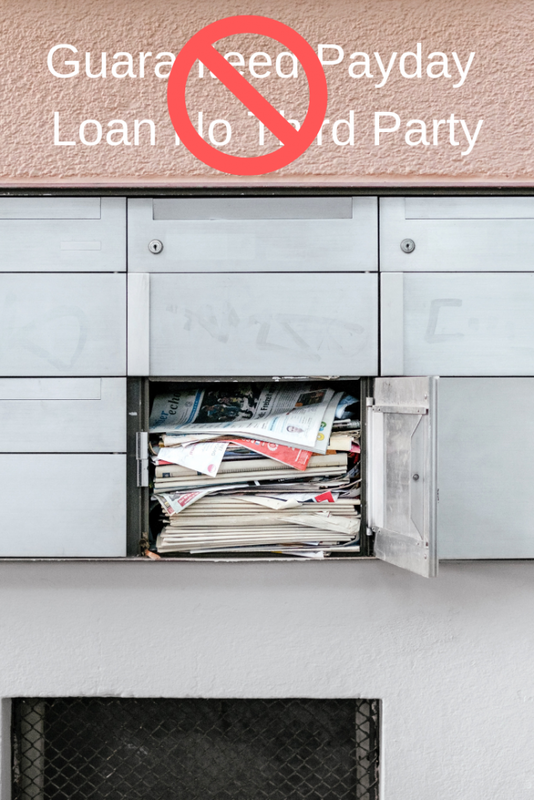 These lenders don’t honestly care about your ability to pay off your loan. As mentioned above, many of these companies are feeding into the cycle of debt. If they are guaranteeing you money without knowing anything about your finances, they don’t care about your ability to pay it off or your financial freedom. Even in the tightest financial situation, you should avoid these predatory loans at all costs. Consider getting a loan from a friend or transferring some of your debt to a credit card with a lower interest rate. Whatever you do, try to avoid anything that guarantees approval.